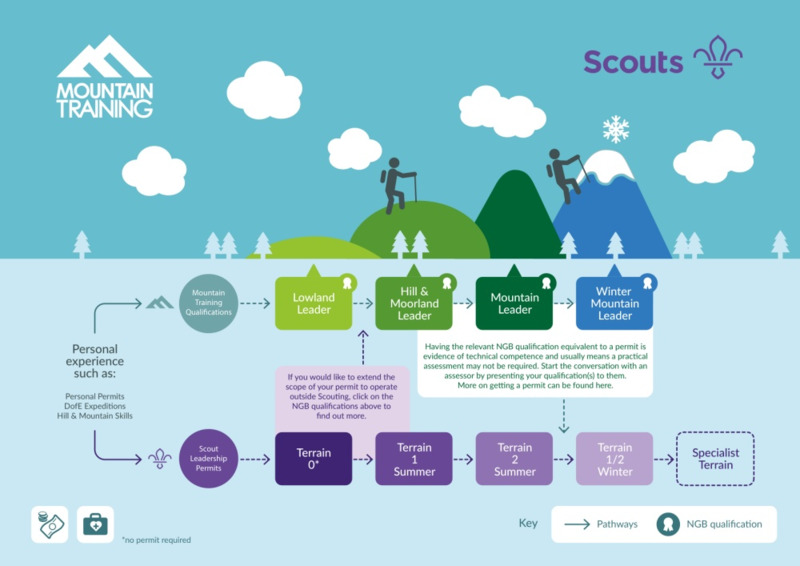 Mountain Training and the Scouts have been working together for decades thanks to our shared interest in walking, climbing and mountaineering. Many Scout leaders go on to gain one or more of our qualifications and many of the people who already hold our qualifications find themselves working with the Scouts, which requires a permit. So we've teamed up to create an infographic which showcases the pathways and opportunities for everyone involved. It is not designed to be prescriptive or limiting and the Scout permit system remains separate to Mountain Training's qualifications. It's aim is to enable everyone to understand the options available at every stage of their development. The image is best viewed as a pdf because various parts of it are hyperlinked. Watch this space for an interactive version.